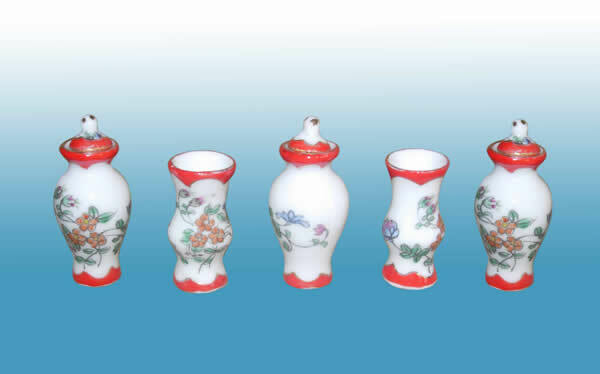 Collectible handmade Porcelain Red and white Vase. This Vase is hand-painted with ceramic glazes using a tiny brush, very lovely detail, so it has delicate gold edging. After painting, the piece is fired in the kiln. This makes the painting design permanent for the lifetime, and unlike computer printed decals that are applied with varnish, this design will never scrape off, lift, or yellow.